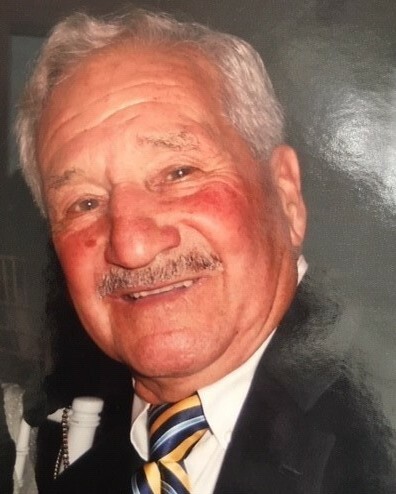 Vito Lentini, 88, passed away peacefully on January 29, 2019 with his family and the love of his life, Dottie of 65 years by his side. He was our hero, our world and our everything. He was the best husband, father, grandfather, great grandfather, uncle and friend. His personality was always happy-go-lucky and he was always laughing. Vito’s attitude, strength and love is why we are blessed by him. He touched so many lives and everyone loved him so much. He was so proud of everyone and loved each one with open arms. He is our inspiration to be kind, caring and loving. He was the happiest man on earth and loved his family to death. He loved the Lord of God with all his heart, soul and mind. We are so blessed he created an amazing, loving family that is the greatest accomplishment that you can have in this world. This place will never be the same without you, Vito. He was a native of Red Bank and Little Silver and attended Red Bank High School where he was the captain of the football team. Vito worked as a lineman for JCP&L for 50 years. He ran two NYC Marathons, starter at Bamm Hallow golf course and loved golfing, skiing, fishing and the beach. His winter months brought him to Key West, Aruba and to the family chalet in Killington, VT.
Vito proudly served his country in the U.S Airforce. He was a wonderful friend to many who could make you laugh and put a smile on your face in an instant. To his loving family he was a “Joy of life”, loving, inspiring, kind, caring and very proud. Vito was predeceased by his parents Catherine and Bartolomeo, sister and brother-in-law Mary and Anthony Marino, brother and sister-in-law Lou and Liz Signorelli, brother-in-law Walter White and niece and nephew Linda Marino and Michael White. He is survived by his loving wife of 65 years Dorothy, three daughters and their husbands, Karen and Stuart Maurer of Sunset Beach, N.C, Mary Ellen and George Hankins of Delray Beach, FL and Susan and Billy Lowe of Little Silver, his grandchildren Amanda and Colten Hilbert of Leonardo, Tiffani and Christopher Despo of Oceanport, George and Ashley Hankins of California and Kelsea, Krista, Marie, and KymAlexis of Little Silver, his great grandchildren Colten Kai, Macie, Gavin, Landon, Keroll, Kora and PoppyRae, his sister in law Mickey White of Red Bank and finally a host of nieces, nephews and cousins. Visitation will be held at the John E. Day Funeral Home, 85 Riverside Avenue, Red Bank, NJ 07701 on Friday February 1, 2019 from 4-7 p.m. A Mass of Christian Burial will be held on Saturday February 2, 2019 at St. Anthony of Padua R.C Church at 10:00 a.m. Interment will follow at Mt. Olivet Cemetery in Middletown. Please visit Vito’s memorial website available at www.johnedayfuneralhome.com.